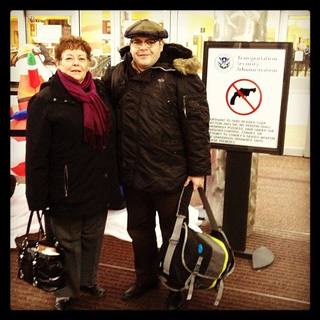 This photo is titled My mom and I leaving the comfort of an Ohio gun free zone... and was taken by Flickr user noneck. It was taken on Dec 26, 2012 and was published under the Creative Commons Attribution-NonCommercial license. It is not part of the SFO Museum collection.